Here at Moda de la Mode we are really excited to finally launch the third issue of Moda de la Mode magazine. The launch will be held at Apartment 58 with The BlackWhite performing an exclusive live set along with DJ Malenya. 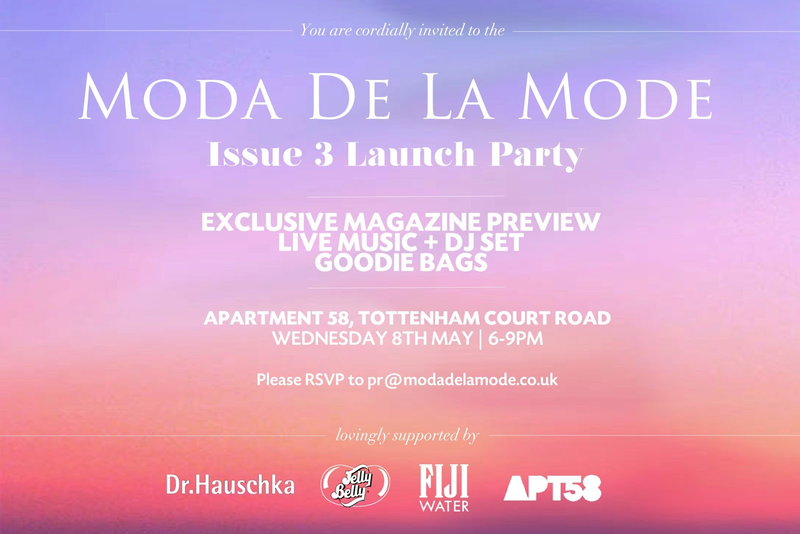 Goodie bags will be given out to guests on the night and of course the magazine will be unveiled for the first time to attendees. Looking forward to seeing all your faces there.